Blaring out amid the Fringe's morass of comedy, cabaret and theatre acts like a trumpet in the night, the Melbourne Ska Orchestra are set to bring their unique take on ska to the Gilded Balloon for six nights only. Blending classic ska influences with elements from musical cultures the world over, the orchestra promise first-rate musicianship and a little unpredictability. 'Every gig is different – we quite like it when things don't go to plan and have to take another path,' says bandleader Nicky Bomba. 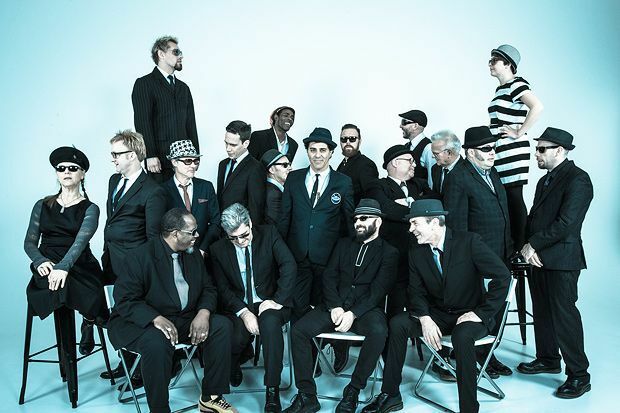 Featuring some of Australia's finest musicians, the orchestra formed back in 2003 to celebrate the birth of ska in the 1960s. The band quickly accumulated members and acclaim, winning them headlining festival appearances Down Under and award nominations for their self-titled debut album. Now, they visit Edinburgh for the first time as part of their international tour in support of their second album, Sierra-Kilo-Alpha. Gilded Balloon Teviot, 8–12 Aug, 6pm, £12 (£11). Preview 7 Aug, £5.